Its high time the SLFP team support the Vat Bill without sitting on the fence and thinking how to win the next election. After all these were the SLFP bunch who voted for the 18th amendment and shirani bandaranaike impeachment,the YES SIR! boys of SLFP should think country first party last priority. For a country to function smoothly taxes has to be imposed. The whole mess the country is facing because of the Maharajano. Do away with VAT and recover stolen money, that’s the people friendly remedy. People may doubt that keeping on blaming the past regime is just a hoodwinking chant. Good to bear in mind that misappropriations amount to billions and recovering is a must. It’s no joke; It’s peoples’ money. Quite right SR – NO MORE TAXES on the poor! Recover the funds hidden in off shore accounts in Panama, SIngaproe Dubai etc. of the corrupt politicians and their cronies and pay off the national debt. UNP and RW should ask the IMF and World Bank to put their money where their mouth is and use their experts to track down off shore bank accounts and repatriate funds stolen from Lanka! The VAT bill should be supported by all otherwise the country will be bankrupt within 5 years!!! For a country of 21 million people, there are only 48,000 corporate tax files, There are only 148,000 individual tax files, only 21,000 NBT (Nation Building Tax) tax files and only 15,000 VAT (value added tax) files. None of the traders pay proper taxes and hence VAT on retail and wholesale trade will be opposed by traders. Implement it ASAP and get your collection efforts in order please. find the money to pay. and induce civic sense into the people they serve. Mudson, you are partly right.They want to kill the alcohol industry, the tobacco industry, the paddy industry and now comes the latest Maize industry. In the meantime they want the asbastos industry also dead.The first four provided income locally, provides employment while the last is unexplainable. Without asbastos how are the people to build houses. The clay that was used to make tiles is fast depleting in supply.The steel roofing is beyond purse even of the middle class. The paddy and maize industry can provide an alternative to imports of petroleum and coal imports of which had cost this country Rs 74,897,000,000 between 2000-2014.In addition this country can work on research to produce Hydrogen from Paddy and Maize which will work as a fuel for vehicles and also to generate electricity, as done in Iceland. The all govts since 1977 had been harping on the tourist industry.They spend billions to put up the infra structure – the buildings and provide direct employment to about 500 and indirect employment to about 100 tarts. Are we led by a group of fools or toads in a well? So they want Luxury Vehicles. as well. From whom to steal? What about MaRa MaRa ChaTu MaRas and his cronies Stolen billions? a)All parliamentarians, Provincial council members, Pradeshiya Chairman’s, Government Doctors, Professionals, Government Officials, Heads of Public Institutions, Secretaries of Ministries and politically appointed Government Consultants. In all, all issues of duty free import of vehicles should be banned. If such imports of vehicles are necessary by the above category, then the government should the government should ask them to pay the full customs duty and any other taxes applied. This will save the government millions of rupees/hundreds of thousands o dollars. 2) The subsidized meals provided to parliamentarians and the parliamentary staff should be stopped immediately.Market rates/prices should be charged for these services. This will save the government hundreds of thousands of rupees. 3) The free allocation of petrol how given to the MP’s and Ministers and government officials has to be slashed by 50%. This will put a stop to galavanting drives and discipline the use of such resources for the benefit of the nation. This will save the government hundreds of thousands of rupees/dollars. 4) The allocation of use of “Free Cellphones has to be limited” and curtailed by at least 50%. This will discipline government officials and parliamentarians from misusing this privilege to official talk only. This will save the government hundreds of thousands of rupees. 5) Government residents or official bungalows granted/issued to politicians should be withdrawn immediately and as an alternate, all government officials and parliamentarians, ministers and government servants should me made to pay the market rent price if they are to continue in such residences/houses, including the water bills, electricity bills etc. on the poor masses. The above mains issues are the grumbling and grievances of the ordinary citizen/voter and the main opposition to the VAT, raising the question – why all these facilities and privileges to such a section of the society and why should we be TAXED to pay them for such FANCIES in life. HE. Maithripala Sirisena should show leadership in bringing these REFORMS, which the UNP and the Ministry of Finance of the Hon. Ranil Wickremasinghe camp of the Yahapala government will NOT like. Noor Nizam. Peace and Political Activist, Political Communication Researcher, SLFP Stalwart and Convener – “The Muslim Voice”. The traders and food producers are exploiting the VAT system and the haphazard manner it was introduced, to fleace the public. Whole chicken-both skinned and unskinned- is no longer available in supermarket shelves, since being price controlled after the temporary suspension of the VAT, following the Suprene Court order. Whereas, specialized cuts are available in plenty at Rs. 700+ per Kg. Is the government aware of this racket? Unless, the VAT system is introduced with care and greater consideration, it will prove to be a slippery slope for the government, on the political front. The double taxation brought about by VAT for telecommunication services is also a monumental folly. The government should take an example from the manner in which the Indian government is trying to introduce the General Services Tax there. 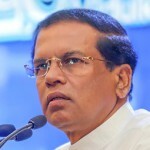 SLFP has a leader President Sirisena. However, the SLFP MPs want to sit on the fence as they do not know if Mahinda Rajapakse MP would become the leader of SLFP again. It appears that President Sirisena does not have the control over the party. Mahinda is pulling the strings although he is not the leader of the party. Its time President Sirisena shows to the country that he is the leader of the party and not Mahinda. This he can do by taking stern action against all the MPs who joined the pada yatra. If not this drama is going to continue for a very long time. Judas Sira said he will send home anyone that will impose taxes that will hurt the ordinary folks. If SLFP MPs vote in favour of VAT Bill, is Judas going to send them home. It is the not the VAT bill that their issue. whether JO is going to win it. then they can start playing next round of musical chairs. President Sirisena… You are a man of exemplary Courage and Patience = Great Wisdom…. Regarding – ‘A large number of SLFP MPs are on the fence over the UNP mooted VAT bill’… The irony is – non of them ever said a word when their ex-Chief, ‘The Tsunami Rouge’ increased prices overnight, and now they have a problem with proposed taxes that is necessary to pay their ex’s loans?? This is a good thing, Mr President and Prime Minister, because they all know why these taxes are necessary and are still causing trouble – a plan by MaRa stooges??? Please be VERY firm with them, first punishment is their Pahada Yatra crap which was a total hindrance to us Citizens… Mahinda should be the First, cos he threatened us Citizens and you, the Government!!!!! I repeat, as in my earlier posts – Mr Sirisena, you are a very Brave Man… A Brave, Patient, knowledgable Patriot… A True Citizen…. Ranil… Thank you… Thank you…. Which country you live Paku. It cannot be in sri lanka. You seem to be still dreaming. Revenue needs to be increased to meet expenses. It is so simple. But politicians think lowering taxes or failing to increase them will bring in more revenue. This stupid distopian view is pushed upon a gullible public who cannot understand simple arithmatic. There are also two items of waste one is the car issue the other is recovering of robbed money. These are both issues that will take a long time to correct. We have a culture where every government official even a junior one with political patronage is given a driver driven Prado. Both parties engaged in giving away these goodies beginning from the era of J.R. to M.R. where M.R. exploded the problem to mammoth proportions. M.R. also hid his money with third parties in multiple foreign banks making the task of tracing his money a near impossible task. So arguing over not raising VAT because these two issues persist is not understanding the problem thru either ignorance or willful bias. We need revenue now not later. If it is difficult to recover MRs money, that shows that he is a smarter crook than Arjuna Mahendran. If the government is keen to do so, it is not difficult to recover money stolen by Mahendran and his SIL. But that issue has been put under the carpet. I think even Handunnethi has conveniently forgotten that. This is Sri Lanka! What has VAT to do with Arjuna Mahendran & Arjun Aloysius? Bloody idiot SL CITIZEN, the two f them didn’t rob any Money or anything from you idiot. All THE GOVERNOR add was try to balance the economy, he had nothing to do with VAT. THAT WAS DONE BY YOUR FOOLISH PRESIDENT IN COHORTS WITH THE BRAINLESS MINSTER OF FINANCE. think before u write articles. Though the Yahapanalaya won we haven’t seen any financial benifits to the common man. Inspite of being upper middle class it is very hard to pay the damn elec bills and buy proper essential commodities. Imagine the lower middle class and the poor? WTF maithri ranil baboons wTF are you people are doing? WHY THE FK ELECTRIC BIL IS SO HIGH? Why can you idiots make thing more efficient and reduce the damn financial burdens to uplift the society?? Before you introduce vat bills stop all the befnits of you and yor rogue ministers. rEDUCE THEM TO ZERO! Why not increase income tax, wealth tax, capital gains tax, taxes on luxury goods and taxes on super profits? VAT hurts the poor far more than the rich. I wish that the VAT bill will bite the dust.